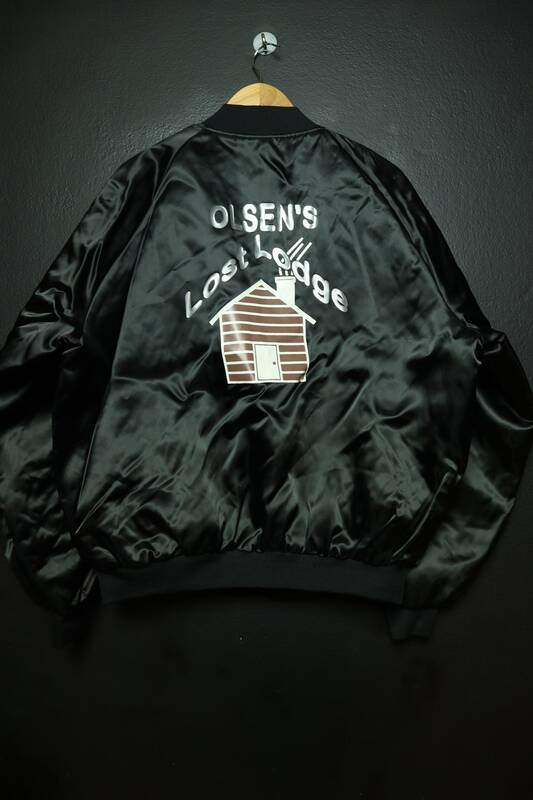 Olsen's Lost Lodge vintage bomber sports style Jacket. 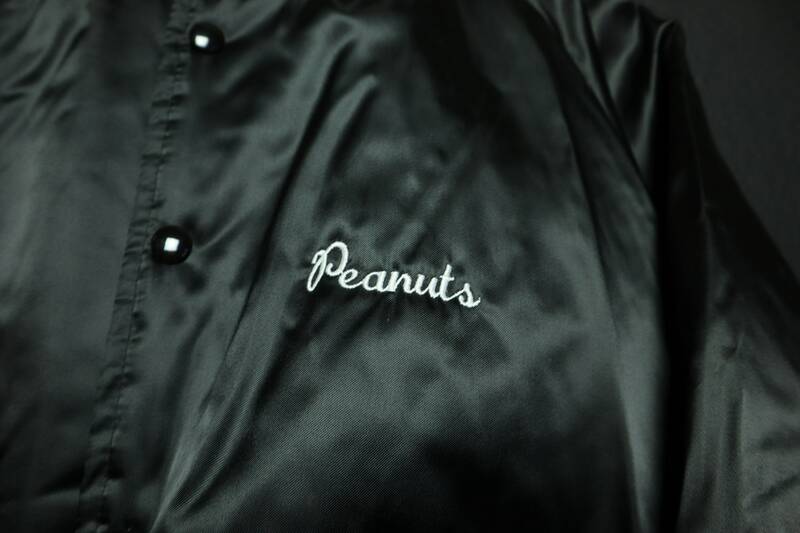 Peanut embroidered name on front, log cabin graphic back print. 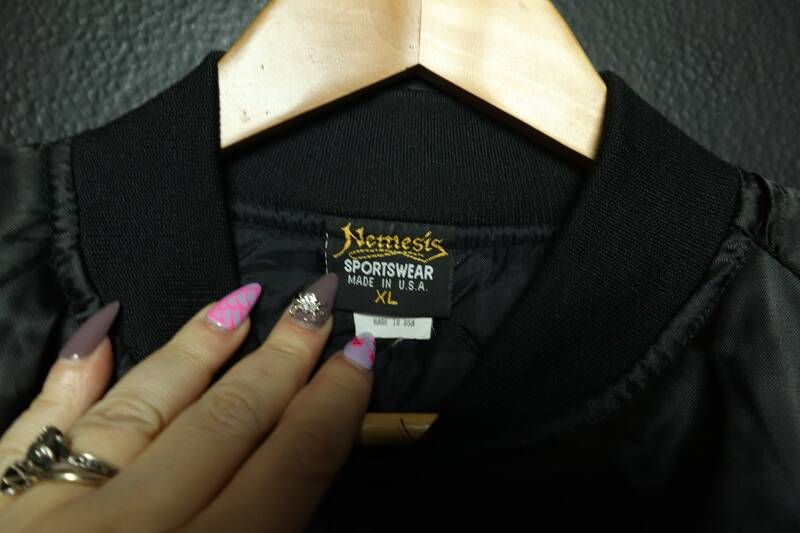 Nemesis brand. Made in USA. Size XL. 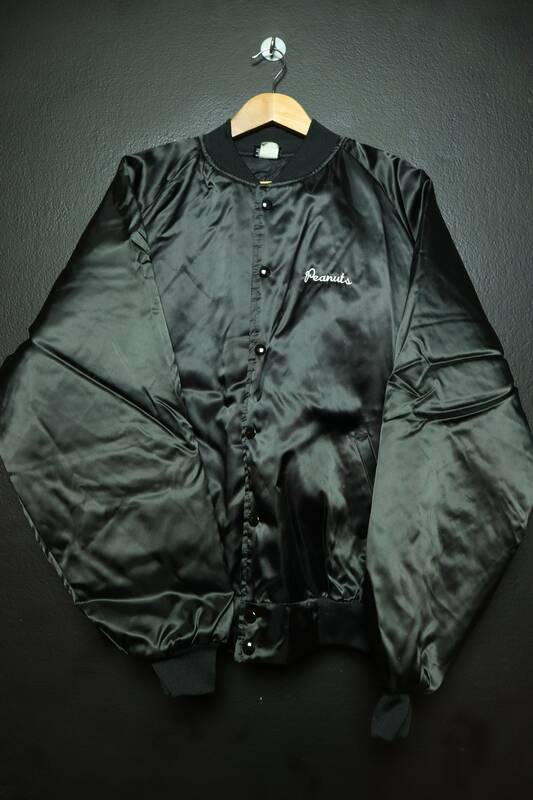 This jacket is in very good condition with no signs of wear. Pit to end of sleeve: 23"
We do our best to describe all items. All items are sold in As-Is condition. Please keep in mind that with vintage items there will be age appropriate wear. Feel free to contact us if you have any questions!